Taiwan Semiconductor Manufacturing Company is also called Taiwan Semiconductor which is the world’s largest semiconductor or chip manufacturing company which is headquartered in Hsinchu, Taiwan. 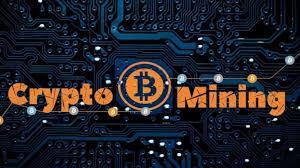 The firm has experienced a significant drop in its crypto mining revenue in the year 2018 was announced by the firm in the company’s Q4 2018 financial results & also published in earnings call transcript on Thursday, 17th Jan.
HPC segment grew “slightly,” if excluding mining. On forcing him to put forward some more information in terms of data, Wei said that last year cryptocurrency had contributed to the chip sales of many manufacturers. But didn’t specify too much on the same. TSMC reflected revenue of $9.4 billion in Q4 2018 which was around 11% more than Q3 & approximately 2% high from 2017. The chief financial officer and senior vice president finance, Lora Ho forecasted $7.3-$7.4 billion revenue in Q1 2019 which will be 22% sequential decline. It is reported that the bearish market impacted crypto mining ecosystem and its participants. Because of which Bitmain shut down its multinational operations by suspending its mining in Texas, U.S. post shutting down its development center in Israel and laying off its employees in the last year.